Lovely, turn-key home in sought location. Open, flowing floor plan with numerous renovations throughout. 2 large bedrooms. Serenity awaits you on the spacious deck off of the master bedroom.The exterior offers beautiful landscaping and a fenced rear yard. Blue Ribbon Schools. 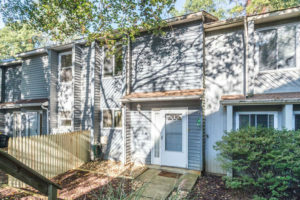 Desirable location- close to shopping, Annapolis, Ft.Meade, Baltimore & more.